Recap: All eyes were on Apple as it kicked off its week-long worldwide developers conference in San Jose on Monday. The keynote has traditionally served as a showcase for Apple's annual mobile OS upgrade and this year was no different. Apple introduced no less than a dozen new features which we've touched on in the feature below. 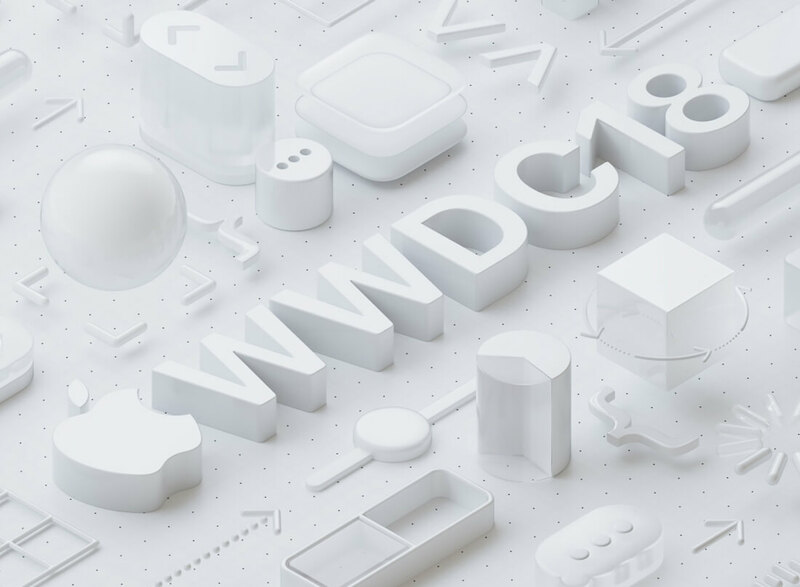 Craig Federighi, senior vice president of software engineering at Apple, took the stage during the company’s keynote speech at the annual worldwide developers conference to highlight some of the new advancements in iOS 12. Apple is doubling down on performance in iOS 12, promising a faster and more responsive environment across several generations of Apple products. On the iPhone 6 Plus, for example, apps launch 40 percent faster, the keyboard loads 50 percent faster and opening the camera happens 70 percent faster on iOS 12. According to Federighi, some of the secret behind iOS 12’s performance boost has to do with ramping up (and throttling down) CPU cycles at a faster clip. By mashing down the throttle rather than slowly easing into it (like in a vehicle), the overall experience should feel a bit zippier. As for new features and functionality in iOS 12, there’s plenty of that to go around. Apple introduced ARKit 2.0 on Monday which provides improved face tracking, 3D object detection, persistence detection and multi-level shared experiences. With the latter, multiplayer AR-based games become a reality with partners like Lego already working to build compelling experiences that allow kids to play locally with friends. Apple has also partnered with Pixar on a new file format for AR called USDZ. It’s an open file format that’s described as being “like AR Quick Look” with a compact single file and universal scene description that’s optimized for sharing. Adobe was on hand for the announcement, saying that native USDZ support is coming to Adobe Creative Cloud. With the Tile app, for example, you can add a Siri shortcut and assign a phrase like “I lost my keys.” Telling this to Siri will launch the Tile app and ring your Tile tracker to help find the missing keys. Other examples cited included setting up shortcuts for traveling, checking your favorite team’s scores and ordering takeout from your go-to restaurant. Apple has revamped its News, Voice Memo and iBooks apps in iOS 12 as well. In the News app on the iPad, you’ll now see a new sidebar that makes it easier to dig into areas you are interested in. The Voice Memo app has been redesigned to be easier to use and will also be coming to iPad for the first time while a rebuilt Stocks app will now feature business news curated from Apple’s editors. Tapping on a headline will bring up a full article without leaving the app, Apple said. Also of interest is the fact that iBooks is changing its name to Apple Books. There’s a new storefront to improve browsing and a Reading Now feature that helps you pick up where you left off. CarPlay fans will appreciate newfound support for third-party navigation apps, giving users more choices behind the wheel. Like Google, Apple is also working on a set of comprehensive features to help limit distractions and improve time spent on mobile devices. It starts with improving Do Not Disturb with a new feature called Do Not Disturb at Bedtime that limits notifications at night (don’t worry – they’ll be waiting for your review in the morning). iOS 12 users will also be able to set an ending time for Do Not Disturb and finally gain access to grouped notifications. There are also new tools to review your screen time. The weekly activity summary details usage over the past seven days, revealing stats such as how often per hour you picked up your phone and which apps are sending the most notifications. You’ll also have the ability to set reminders regarding app usage limits, complete with integrated parental controls and reports. Last but not least is the communication category where Apple detailed a new Animoji feature called tongue detection, debuted four new Animojis – tiger, ghost, t-rex and koala – and shared Memoji, the ability to create your own personalized Animoji. Group FaceTime, meanwhile, will allow for up to 32 simultaneous participants in a given FaceTime session. A launch date for iOS 12 has not yet been set although we suspect the first beta should be available later this week ahead of a fall general rollout.